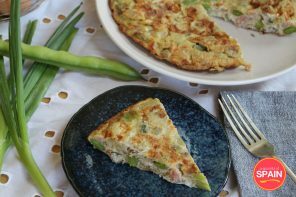 Broad Beans and Ham - The World's Easiest Tapas Recipe! 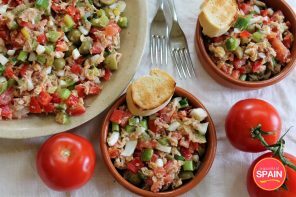 Broad Beans and Ham – The World’s Easiest Tapas Recipe! 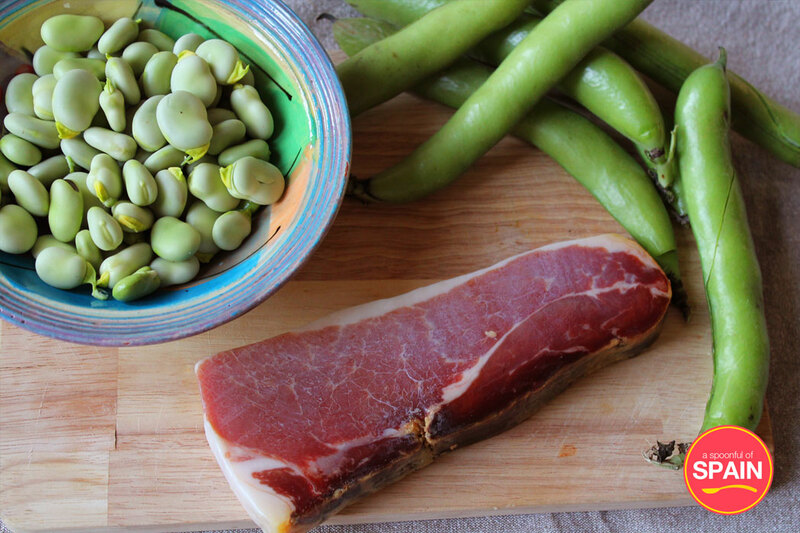 Broad beans and ham (or habas con jamón) wins the prize for the easiest tapa ever! 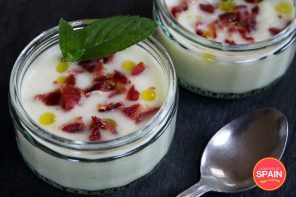 With just four ingredients, it’s the perfect choice for a starter or as part of a Spanish tapas selection. The bright green broad beans combine perfectly with the fried jamón, and give the impression that you are eating your five a day! But don’t be fooled by the veggies – the salty, crispy texture of the jamón adds a bacon-y twist to the tapa. There seems to be an international divide on whether or not to peel the broad beans. Sevi swears that they don’t peel broad beans in Spain, but I am a strict peeled broad bean convert. It’s a bit more work, but it gives the broad beans a smoother texture and a brighter colour. We left the shells on for this recipe for authenticity, but feel free to break the rules! 1. Slice the spring onions into small pieces. Add to a saucepan with the olive oil and cook over a medium heat for about two minutes. 2. Cut the jamón into small dice or small slices. Add to the saucepan and cook for a further 2 minutes. 3. Add the shelled broad beans and mix thoroughly. Cook until the beans turn dark green (around 10 minutes).